Tucked in amidst all the corporate chain eateries of the Lansdowne development is one, lone, family-run restaurant. Walking in to Sen Asian Kitchen, my fingers were crossed. Here, understand, was a peewee David struggling to survive among the giants: I wanted Sen to come out swinging. I had, in fact, decided if it wasn’t any great shakes, I wouldn’t bother to write about it. But look at me – typing away! 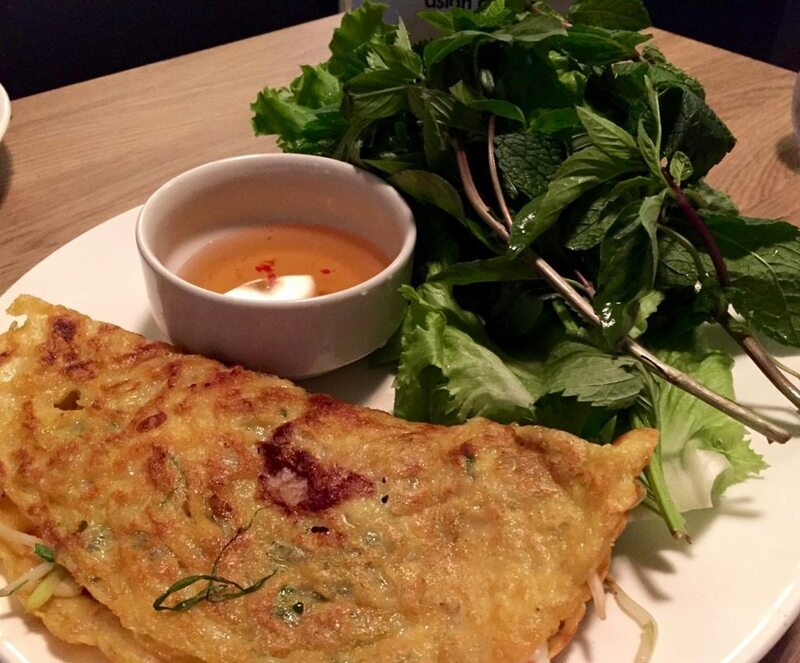 Run by the Nguyen sisters, Ann and Kim (who brought the Vietnamese restaurant Pho’licious – now Pho Tuan – to Booth Street seven years ago), Sen offers a menu that ventures beyond soup. 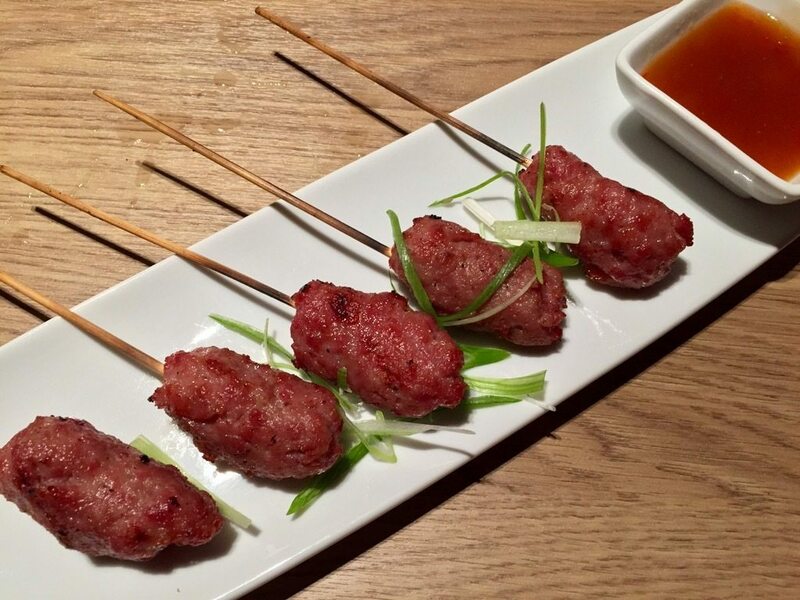 It’s pan-Asian in focus, a please-all two pager with particular emphasis on a few key Vietnamese dishes, well executed and handsomely plated. The space itself is tall and industrial, warmed with slats of pale wood and wobbly cloud lights. A few winning curves among the otherwise straight lines, and a pop of red at the bar add to the modern look. One night the electro music is much part of our dinner. Another night, a different style altogether, and a pleasing backdrop only. One night service is chatty and kind, another night we feel a bit abandoned, and must go in search of a body to bring a bill. But Sen Asian Kitchen – or possibly being re-named Sen Lansdowne – is only a few weeks old. Service would be one area where kinks would be found. The kitchen, on the other hand, is in great shape: the food, with few exceptions, was delicious. We began with rolls. 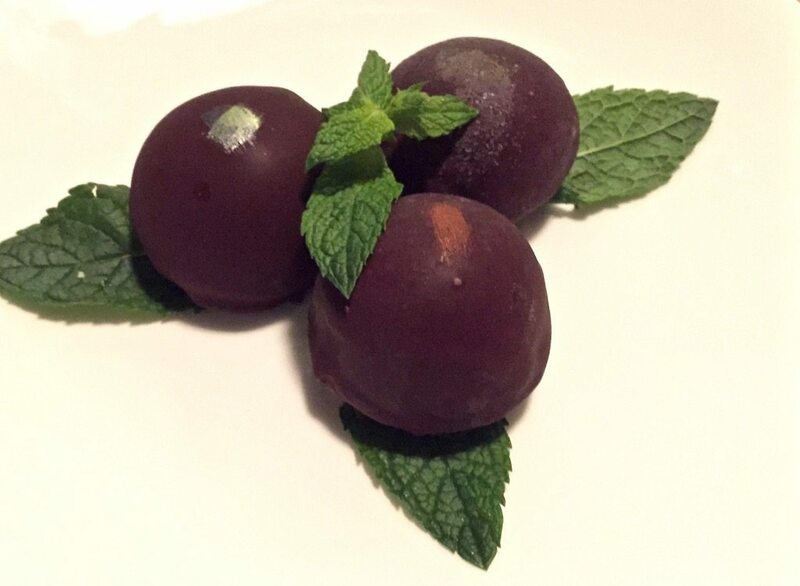 The fresh ones are clearly made to order, their warm and cool elements and profusion of herbs welcome, wrapped within light, tight rice paper. They delivered a package of flavour, texture and freshness, served with a sweet fish sauce with chili kick. More rolls, these ones deep fried, had grand crunch and little oiliness. 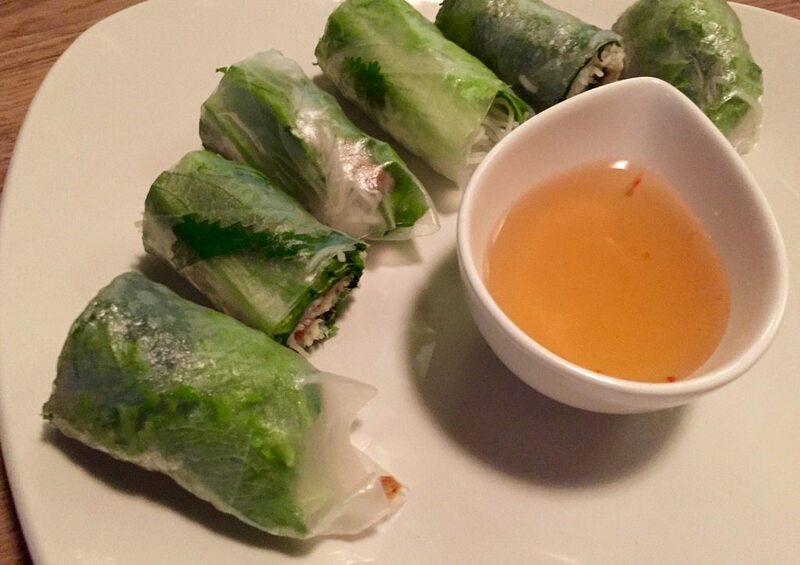 Furnished with lettuce leaves for ferrying wraps to mouth, they were a significant cut above the usual chả giò. Dumplings were delicious, prettily pleated and pleasingly stuffed, fried on one side, and served with a citrus soy dip. And the carpaccio, Vietnamese style, was again, elevated with a profusion of soft herbs – mint, cilantro – and with the crunch of scallions, a few chili rings, lots of freshly cracked pepper, a squeeze of lime juice and a slick of oil. Chicken dumplings arrived prettily pleated and perfectly cooked. At lunch, the pho was a deep bowl of nourishing beef tendon broth, plumped with noodles and other good things, while the traditional banh xeo, a thin, crisp pancake stuffed with vegetables, shrimp, pork, was the best I’ve tasted in the city, served with greens, herbs and fish sauce. We ate other things, all from the Vietnamese side of the menu, and liked in particular, the green papaya salad, the shredded fruit mixed with generous amounts of cilantro, and with scallions and crushed peanuts in a well chilied vinaigrette, topped with housemade pork jerky. 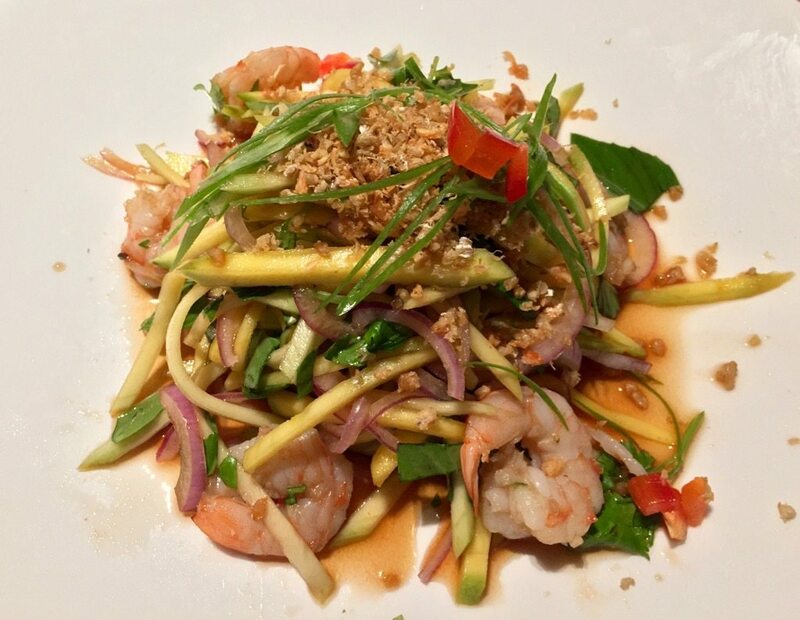 I preferred it to the pretty, but more pedestrian tasting mango salad, with its ho-hum shrimp. The dish that disappointed was the sizzling tilapia, the fish overcooked and dry. For dessert, go straight for the trio of (Ottawa chocolatier) Liz Mok’s magnificent Moo Shu ice cream truffles: the salted caramel with a kick from fuyu (Chinese fermented tofu) and bird’s eye chillies was unlike anything I’ve ever tried; the passionfruit truffle had a potent flavour; and the third, ‘Hong Kong milk tea’ was the lovely, gentle ender. Wines at Sen have been chosen to match the food, and the cocktail list is priced to fill the small bar. Go seek SEN out – they’re doing many things right.